Between its capture by the Vikings in 866AD and the Norman Conquest of 1066AD, York was an important trading hub but where was the evidence? Until the 1970s the only archaeological finds from this Viking-Age period were items dug up by chance. This changed in 1972 when small trenches below Lloyds Bank in Pavement were excavated. In this area of York there is up to 9m of archaeological layers which mostly date to the Viking Age. This great depth is highly unusual. These layers are both moist and peaty and so preserve the organic remains of timber buildings, textiles from clothing and leather shoes; things which rot away to dust on most archaeological sites. The moist peaty layers also preserve seeds, insect remains, plants, animal bones, human parasite eggs and pollen; providing evidence that gives us information about past climate, diet, health, the countryside and other features of the ancient environment. When the city council proposed a major redevelopment here in Coppergate, they agreed that further excavations could take place here while plans were finalised. 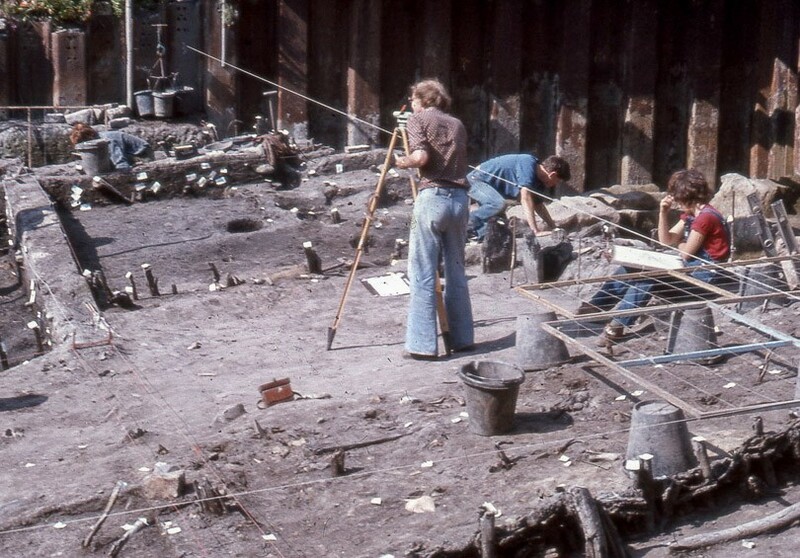 In May 1976 a short cut into the Viking-age was taken by excavating below some modern basements. 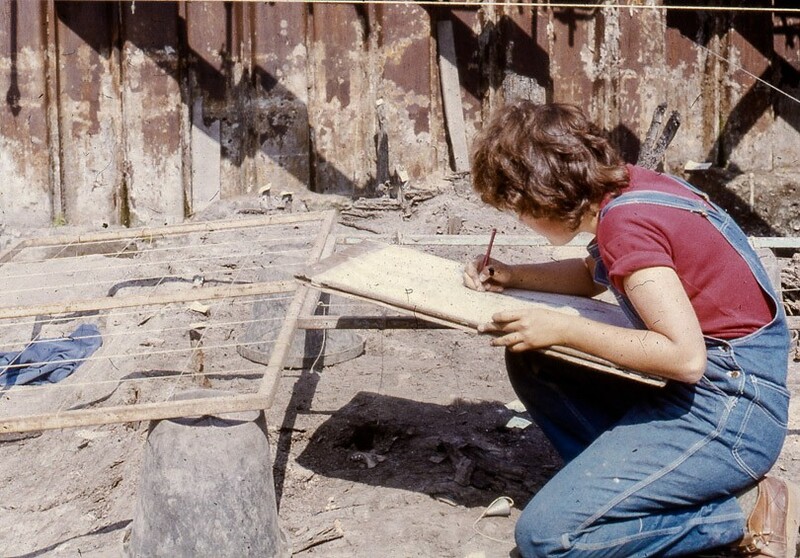 Within a few days rare traces of Viking Age timber buildings were revealed. The dig area was extended to cover 1000 square metres which meant that between 1976 and 1981 archaeologists were able to trowel their way through 2000 years of history. During the next five years, York Archaeological Trust identified and recorded around 40,000 archaeological contexts. 20,000 individually interesting objects were also unearthed. A team of about twelve professional excavators investigated the site, along with students from all over the world, local amateur archaeologists working evenings and weekends and even inmates of HM Prisons on day release. This team unearthed finds from every era of York’s development but the most remarkable and revolutionary discoveries concerned the Viking Age. The construction and layout of the buildings in which townsfolk lived and worked. How the people of Jorvik made a living by making and selling goods. What the people of Jorvik ate. Even how they spent their time!